What are today’s youngsters good for? A concert held in St John’s Church, Ashbourne on Thursday 18 March left us in no doubt of the answer: they are very good indeed at making music! 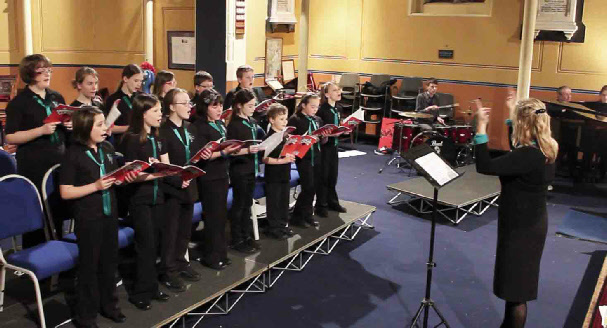 Young Ashbourne Singers, known as YAS, is the young person’s counterpart of the local community choir, Ashbourne Singers, and the brainchild of soprano Linda Perry Smith who has done so much to help develop and promote musical talent in the area in recent years. 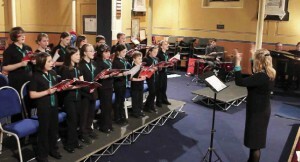 The concert raised £200 for the World Society for the Protection of Animals’ work in Haiti. It was a pleasure to see how the youngsters of YAS have grown in maturity and skill since their first concert two years ago. Thursday’s program of popular songs displayed the vigour and enthusiasm that has become a trademark of their performances. The highlight of the evening was their spirited rendition of Swingin’ Samson by Michael Hurd. The choir was supported by Mel Gill on the piano and a very cool Alistair Pepper of QEGS on the drums. The concert also featured impressive performances from other local young musicians. Rachel Keeling gave a dexterous classical performance on the cello, while Thorpe sisters Isobel and Lydia Barber delighted with two violin pieces of Americana. David Haslam ripped up the keyboard with a Scott Joplin rag; Naomi Tansey astonished on the saxophone; and vocalists Molly Rogers and Callum Brown gave moving renditions of, respectively, a German aria and a number from Oliver! Musically speaking, the future is in very safe hands.